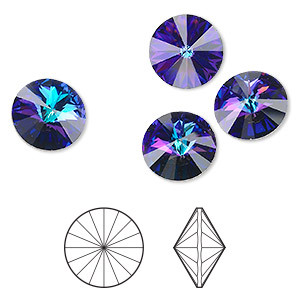 Chaton, Swarovski® crystal rhinestone, crystal clear, foil back, 16mm faceted rivoli (1122). Sold per pkg of 48. Item Number: H20-9492CY Have a question about this item? 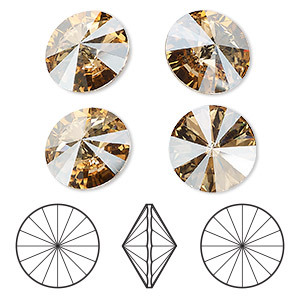 By popular demand, large, 16mm rivoli rhinestones from Swarovski® crystal. 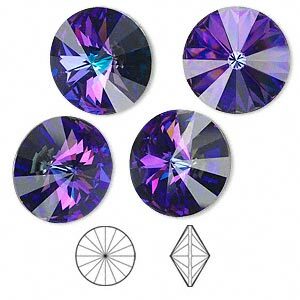 Brilliant sparkle, gorgeous colors, limitless design potential. Foil back creates deep color intensity, pointed front and back adds even more facet play. 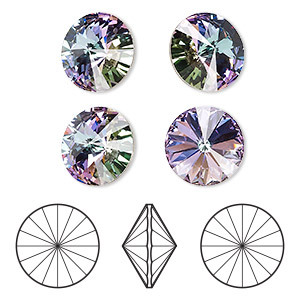 Swarovski® crystal rhinestones can be incorporated into an array of designs including wirework, glued into specifically calibrated 16mm faceted rivoli Almost Instant Jewelry® settings or set in polymer clay, metal clay, Apoxie® Sculpt, ICE Resin® or Vitrium® Clay. 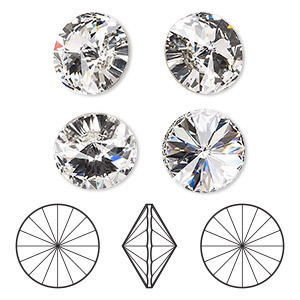 Chaton, Swarovski® crystal rhinestone, crystal clear, foil back, 16mm faceted rivoli (1122). Sold per pkg of 4. 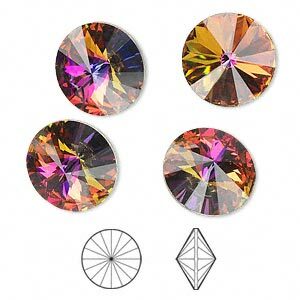 Chaton, Swarovski® crystal rhinestone, crystal clear, foil back, 16mm faceted rivoli (1122). Sold per pkg of 144 (1 gross).